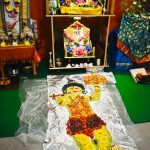 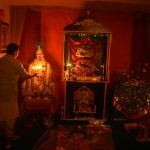 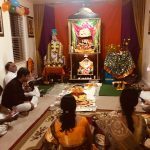 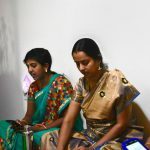 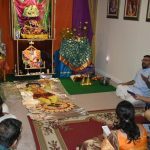 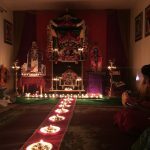 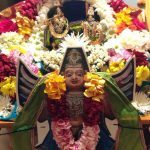 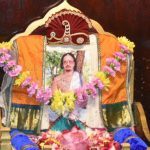 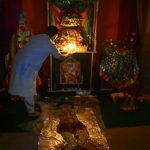 By the immense blessings of Sri SwamiJi and Lord Sri Krishna, Virginia Namadwaar celebrated Gopashtami with Srimad Bhagavatham, Dasama Skandha Parayanam from Nov 11th – Nov 17th at GOD Property, 22495, Landora Bridge Road, Ruther Glen, VA.
On Nov 11th, devotees recited Krishna Janana parayanam and continued the parayanam every day at 10:30 am. 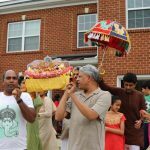 Several devotees enthusiastically participated in the parayanam. 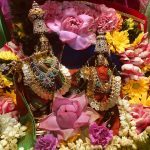 On Saturday Nov 17th, ThakurJi was decorated as Govardha Giridhari, the one who lifted Govaradhan mountain with his little finger to protect vrajavasis. 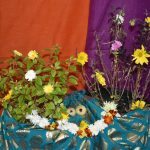 Satsangis sang Madhura Geetham on Giridhalal. 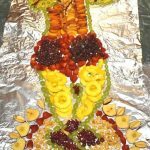 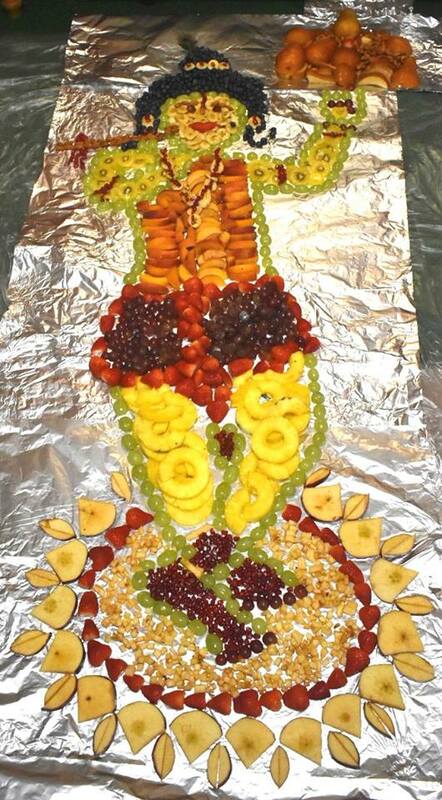 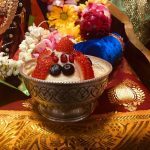 Devotees made beautiful and ever delightful Govardha Giridhalal with fruits. 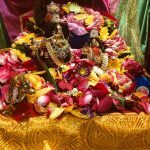 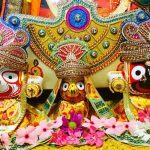 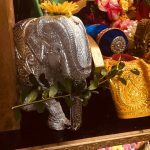 Govinda nama was chanted by everyone and Pushabhishekam was offered to ThakurJi. 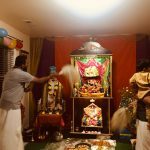 Celebration concluded with Govindha Pattbhishekam kirtans and prayers.